According to the World Health Organization, one in four people in the world are affected by mental health problems at some point in their life. This experience may cause discomfort, anxiety and distress which affect our well-being, weaken our immune system and, in turn, affect our physical health. Our personal choice to ask for help usually resides in our need to talk about what is happening to us, to understand our experiences, and learn how to manage our difficulties with the aim of feeling better and ourselves again. Therapy could touch on different aspects of our life, from every day experiences to deeper and more complex ones. 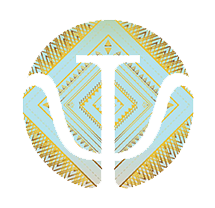 If you are not sure whether you need psychological support, I could offer you a 15-minute free phone session to discuss your thoughts and questions and help you decide whether we can work together at this stage. Where do the sessions take place? How can I book an appointment? The sessions take place in my private practice office in Larnaca (53, Griva Digheni, Megaro Karagiorgi, apt. 206). You may book an appointment by contacting me by phone (97 906163) or by e-mail ([email protected]). I will respond as soon as possible and, if required, schedule an appointment on a day and at a time that is more convenient to you. What day/time can I come? The opening hours of my office are Monday – Friday 09:00-20:00. All sessions are scheduled by appointment only. What should I expect in the first session? What if I am not satisfied? Therapeutic sessions usually begin with an assessment to get to know you better and get a deeper understanding of what you are going through. You will have a confidential space to discuss your experiences and share as much or as little you feel comfortable with. At this stage we can decide together which therapeutic approach is more suitable for you, and map out our therapeutic plan. The therapeutic relationship is very important for the effectiveness of therapy, so it is vital that we feel safe with each other. In order to achieve this, our work will be based on a specific therapeutic framework (also known as ‘therapeutic contract’), which you will find here. If for any reason you are not satisfied with our work together, I would invite you to share this with me so that we can discuss alternative ways of supporting you. My priority is your well-being. I feel anxious about the first session. During the first therapeutic session some people feel anxious, probably because there is uncertainty as to what to expect, or concern about the social stigma. Please keep in mind that psychological therapy is all about improving the quality of your life and is not, in any way, a sign of “weakness” or “madness”. Therapy takes place at your own pace and is adapted to your own personal needs. You will be free to ask questions and share your concerns. You will be treated with respect and you will not be pressurized in any way to share something you are not willing to share. You have the right to share as much or as little information you want in a non-judgmental, warm environment. How long does each session last? What happens during a typical session? Therapy sessions last about an hour and they usually take place at the same day and time every one or two weeks (e.g. every Wednesday at 18:00). The therapeutic content depends on our goals and your needs, and may include verbal and/or non-verbal interventions. For example, some prefer to discuss and express themselves through talking, while others feel more comfortable in expressing themselves through art, writing, or other non-verbal ways of communication. It is also absolutely fine if you only require one session; we will use this time as productively as possible. This depends on your needs and the problem(s) we want to work on. Therapy may be short-term or long-term. Suggestions will be made (based on documented clinical protocols) about the duration and components of therapy, however the final decision is purely yours. All therapeutic sessions are confidential, except when you or another person (including children and vulnerable adults) is at risk. In such circumstances, all necessary steps will be taken to reduce risk and promote safety. Session pricing is based on current market prices for psychological treatment. In the case of financial difficulties, a reduced price can be agreed on so that the cost of the sessions is not an obstacle to you receiving help. If you choose or need to cancel a scheduled session, please inform me at least 24 hours in advance. Sessions cancelled with less than 24 hours notice (with the exception of emergencies or unforeseen circumstances) will be charged normally, as this time cannot be allocated to another client. I express myself better in another language. Do you offer services in other languages as well? Therapy sessions could be either offered in the Greek or in the English language. Psychological therapy may cause distress or exhaustion, possibly because we process experiences in-depth and come face-to-face with our mental health difficulties. It is important that you are prepared for these changes and that you take good care of yourself throughout the time of our work together. Many clients report that with time the unpleasant feelings are reduced, that they benefit from this process and that they feel more in control of their life. If you have any other questions not mentioned above, do not hesitate to contact me. I will contact you the soonest possible.